This is the ultimate Viking game! Vikings go Wild by Yggdrasil gaming is certainly the ultimate Viking game and it was released on August 27, 2015. Themed around Vikings who are fighting a sea monster, this slot is not only well designed and offers really neat graphics but the story line is actually pretty good too! 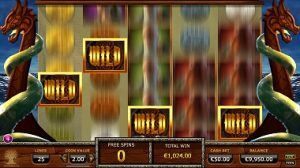 There’s no doubt in our mind that this slot certainly helped the independent game studio, to get noticed by online casino players. Since the release of this cutting-edge game, Yggdrasil gaming has developed ingenious gamification mechanics which still helps Vikings go Wild topping the chart of the most played game offered by this game provider. The gamification application is called “The Boost Tool” and it enables online casino operators to host achievement based tournaments on any Yggdrasil games which uses their iSense platform. The Yggdrasil races have a unique feature to them as they reward the player with the largest single coin win in a spin. This does not favour the VIP players like other races do. Not only this, these tournaments offer great value for the players as not many people are aware of them. Plus, Yggdrasil games are still not widely offered in online casinos, which means that fewer players participate in the network tournaments and participating players stand better chances of pocketing some cash prizes when a race are on. You can play Vikings go Wild for as little as 25p a spin and up to £100. The RTP (return to player) is set at 96.3%. The maximum amount you can win is 12,500 coins. There’s only one version of Vikings go Wild available in online casinos which is in HTML 5. This means that the game is available on a desktop, mobile and tablet and also loads very fast. What are the main features of Vikings go Wild? Innovative in its feature, this video slot has 5-reels, 4-rows and 25 paylines. Make sure to always keep an eye on the treasure chest on the reel when you plasy Vikings go Wild. Because it could award you anywhere between 8 to 12 free spins or an instant coin win up to 1,000. You can also activate the free spins bonus round when 3 or more Scatters lands on the reel. In this game the more Scatter you have the more free rounds you’ll get! 3 Scatters will give you 8 free spins rounds, 4 Scatters will give you 12 free rounds and 5 a whopping 24 free spins. Believe it or not, the free rounds can also be re-triggered in the bonus which can handsomely pay you especially if you managed to get some sticky Wilds on the reel. So, how do you get sticky Wilds in the bonus round? Well, each Vikings that lands on the reel in the bonus round will be a sticky Wild and will remain sticky until the last round of free spins in played. This means that the potential of hitting big and mega win is huge! The game has 11 feature symbols. The Wild is clearly identified and the Scatter symbol is a long ship with the words free spins written on it. Other than a Wild and a Scatter symbol this game also has a bonus symbol which is the golden treasure chest. They are 4 main characters in the story line of Vikings go Wild. 3 males and 1 female. The male characters pay the most and when 5 of them lands on the reel you can win up anywhere between 200 coins and up to 250 coins. 5 female characters will give you 175 coins. The other game symbols and most basic ones are coins, gold, silver, bronze and copper. You probably guessed that they pay according to the metal value. Five gold coins will give you 80 coins, 5 silver one will pay you 70 coins, 5 bronze coins awards players 60 coins and 5 copper ones give 50 coins. You might think that aligning 5 symbols does not pay as much as other games, and you’d be right to think so. But remember this game true winning potential is in the bonus rounds and it does get trigger quite often. So if you’re a Viking fan it’s really worth having a few rounds on this game because it’s very engaging. Following the success of Vikings go Wild Yggdrasil recently followed up with a sequel game called Vikings go Bezerk. This new game was released just before Christmas in 2016. The sequel slot is a real improvement on its predecessor and offer players the chance to win up to 100,000 coins. The RTP (return to player) is also better in Vikings go Berserk 96.4 % instead of 96.30% for the older game. Even though Yggdrasil increased the RTP in favour of player and also increase the max coin win, you can still trigger the free rounds in 2 different way. Via the treasure chest and via the scatter symbol, but this game will award you less free rounds than its predecessor. In this game too the more Scatters that lands on the reel the more free rounds you’ll be awarded. Other game features include Wild Reels, Re-spins and 3 different free spins bonus game. Where can you play Vikings go Wild? Following the signature of an agreement between GIG (Gaming innovation group) and Yggdrasil Gaming in early December 2016. Yggdrasil games are now available at Guts, Thrills, Kaboo, SuperLenny and Rizk Casino. 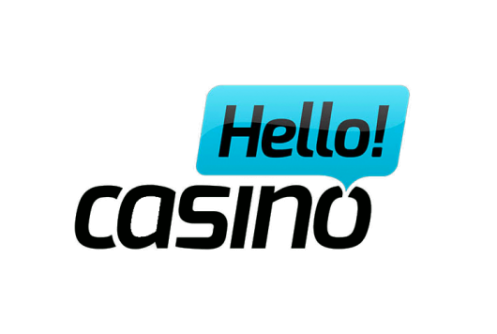 Since the agreement was recently signed we’d certainly hope that in the coming months more “GIG casinos” like InstaCasino will also offer Yggdrasil games. 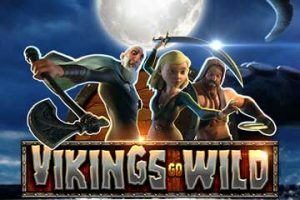 If you want to try Vikings go Wild we’d recommend you to signup to Rizk Casino because new British players are welcomed with a 200% bonus up to £100 and a free spin on Captain Rizk wheel of fortune where even more bonus and free spins can be won. 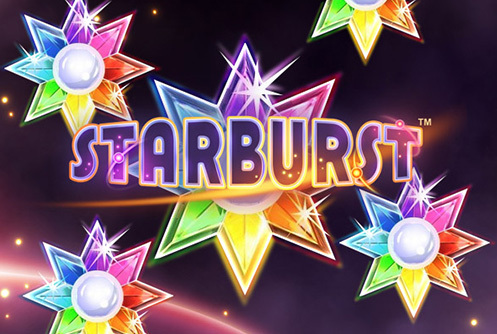 Casumo also offers Yggdrasil games and new players can claim a 200% bonus up to £50 and 180 free spins in Starburst. Choose wisely and have fun!